The major focus of the final regulations – effective May 24, 2011 – is the definition of a disability. 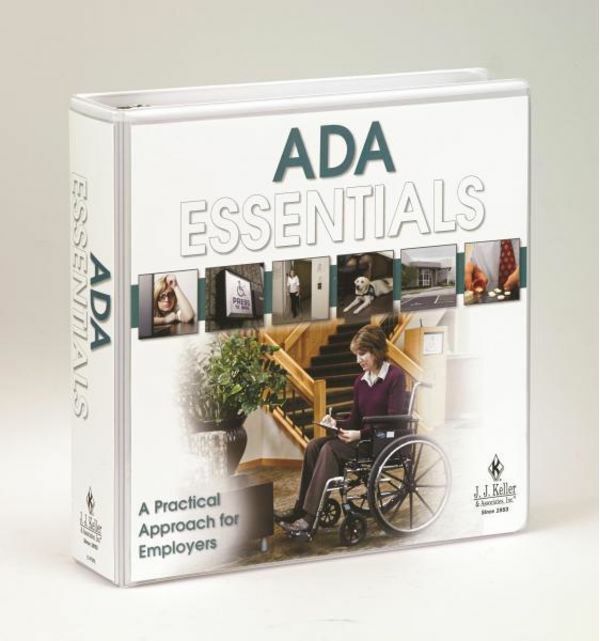 The revised Employer's Guide to ADA includes this vital info. 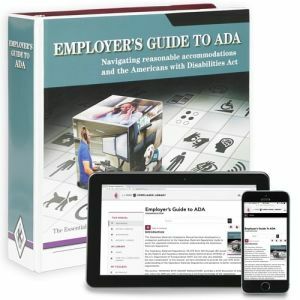 The Employer's Guide to ADA also comes with an Online Edition! Mobile Functionality – Anywhere, anytime access via your web browser and preferred mobile device. Search Capabilities -- Expedite your research with easy-to-use search functionality. Bookmarks -- Quickly return to your favorite or frequently used content. Continuous Updates -- Rely on our editors to ensure you always have the most up-to-date information. Notifications -- Receive emails with summaries of recent changes whenever significant regulatory or compliance changes occur. The Employer's Guide to ADA also comes with an Update Service! With your included 1-year Update Service subscription, you'll always be up to date on the latest developments concerning your manual. You'll receive updated pages for your print manual every 6 months. Operating from current information is essential to avoiding penalties, fines, accidents, and injuries (just ONE incident could cost you far more than the update service). Plus, monitoring upcoming regulatory changes and implementing the latest best practices will help you make better management decisions and budget your safety and compliance dollars more effectively. J. J. Keller guides and manuals are 3-ring bound, so adding new or revised information (replacement pages) is as easy as popping open the binder and dropping it in.